Guests can also check out the revamped Bibbidi Bobbidi Boutique at Disney Springs featuring the revamped Castle Package. 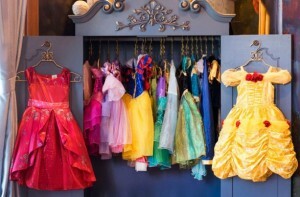 This package features dresses inspired by Belle, Cinderella, Aurora, Elena, Ariel, Snow White, Tiana, Jasmine, Rapunzel, Merida, Tinker Bell, Anna, and Elsa. The entire package includes the dress, makeup, hair styling, nail polish, and accessories. 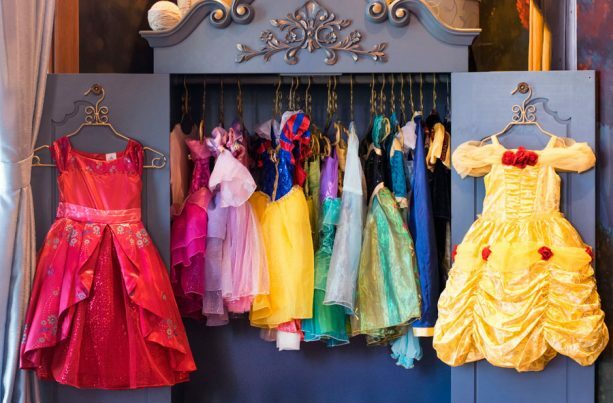 You’ll also find a variety of princess-inspired merchandise at Disney Springs locations including World of Disney, DisneyStyle, Ever After Jewelry, and more.